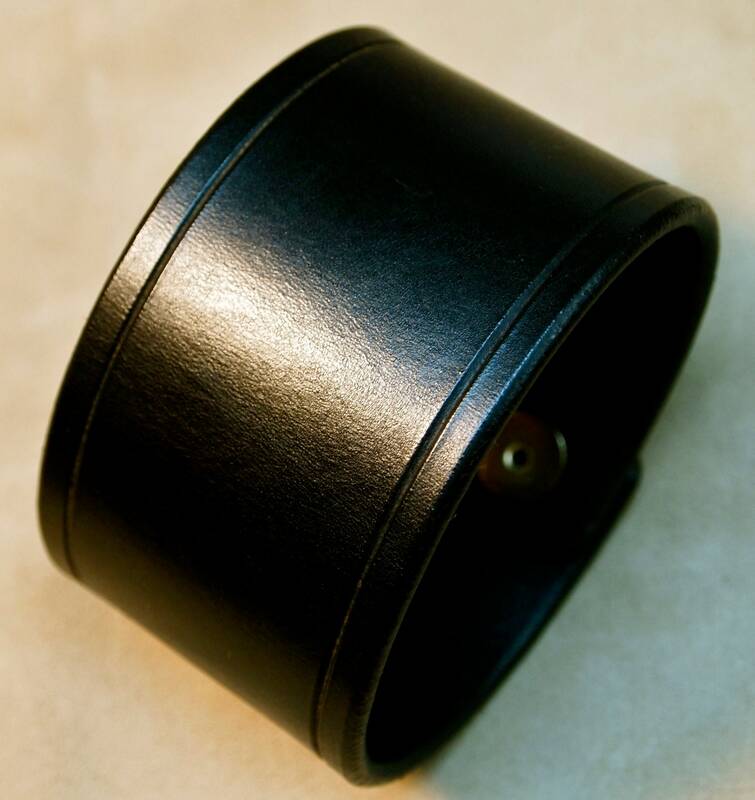 This 2" black leather cuff in American bridle is Handmade and perfectly sized for your wrist. 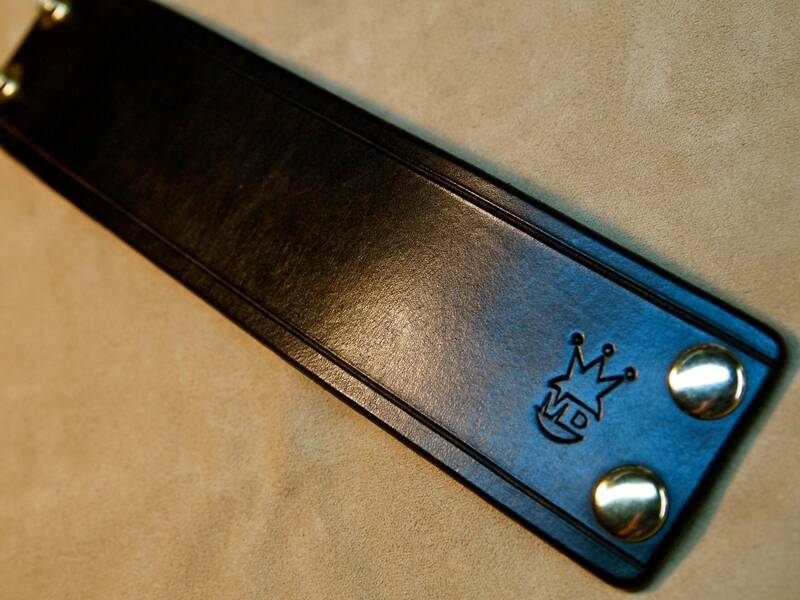 The edges are scribed, beveled, slicked smooth and sealed. 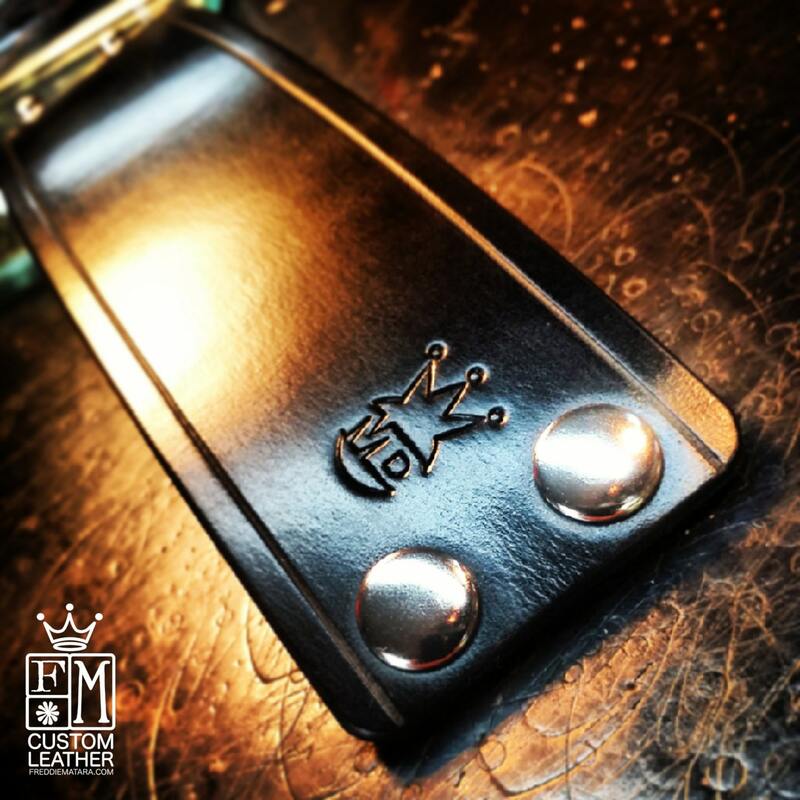 2 high quality hand polished nickel snaps provide the closure. 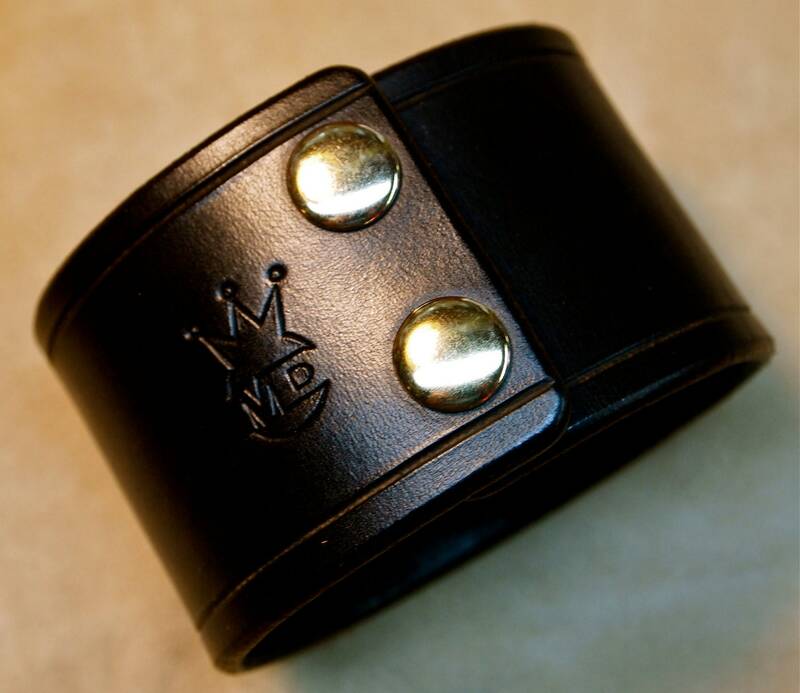 I'll need your wrist size for this cuff. 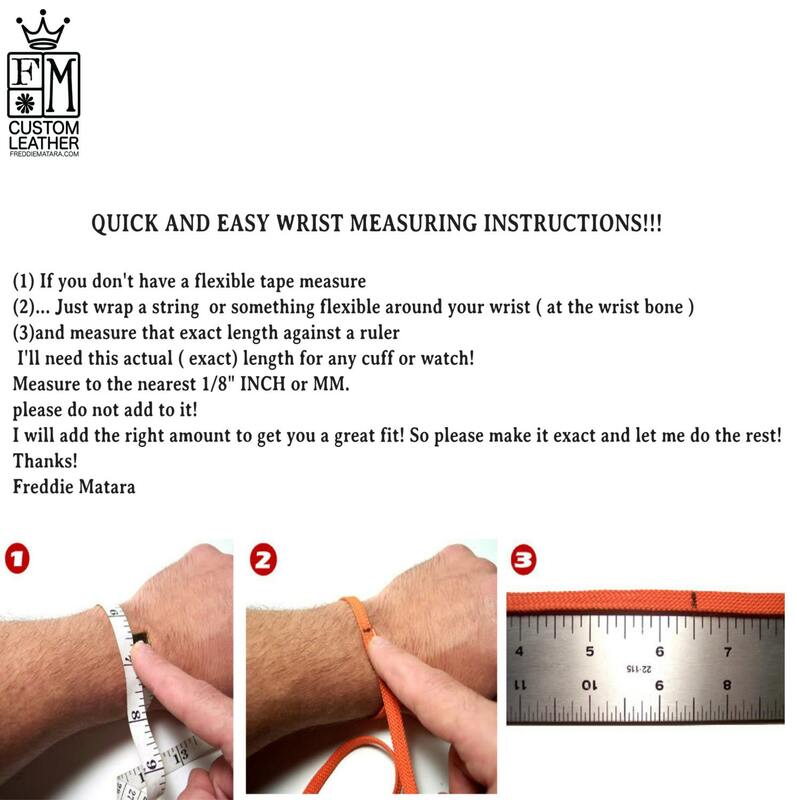 Instructions in the pics above!